Impacts of Sun in 12 houses of kundli, Learn About Sun, know about the effects of Sun/Surya in 12 houses of horoscope, Free Sun Astrology tutorial, how Sun/Surya puts impacts in our life, astrologer for horoscope reading and astrology tips for successful life. government job, accounting, relation with higher authorities, name, fame etc. Sun also gives good eye sight patience to handle any negative situations, feelings to serve others, It is not possible to dominate the person having powerful Sun/Surya. Sun is exalted in Aries and debilitated in Libra and as per the position and power it changes the life of person. Now let's see how it affect the life of person by sitting in different houses of Horoscope/Kundli. Ist House of Horoscope and Sun/Surya:If it is sitting in ist house then person become caring, intelligent, good character, short tempered and rational minded. This type of person don't believe in any thing easily but test every thing in logic and then only believe. If the Sun is getting support from Mars which is friend of it then person is able to make wealth by his own efforts.In this house if Sun is malefic or weak then person deprive of many of the above things. Over power makes the person egoistic too. 2nd House of Horoscope and Sun/Surya:This house related to profit, in-laws so the impacts are seen in life. Person is able to gain profit from in-laws and also is able to gain profit from his or her own efforts if the sun is supporive in this house otherwise it is better to keep away from inlaws matter and don't do any sin otherwise there is a chances of defame and disturbances. 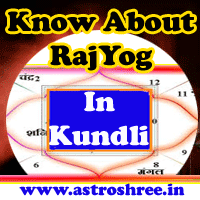 3rd House of Kundli and Sun/Surya impacts:The house of power, brothers, strength etc and if good Sun is present here then no doubt person will have good relation with brothers and is also fond of visiting spiritual places. Dominating nature is also a part of personality. Here if Sun is not good and disturbing then do take care of brothers and sisters and youngers to not face problems in life. 4th House of Horoscope and Sun/Surya Effects:This house is the happiness house and also represent mother, sister etc. So it affects the relations and health of them. Here the Sun makes yoga of foreign travel too. If the health of mother or sister is suffering due to this surya then it is good to start the daan or shanti puja of surya. 5th House of Birth chart and Sun/Surya Effects: This is the house of education, progeny, destiny and so due to good effects person become good in studies and make name of the family. In case of malefic sun problems from children, obstacles in studies, lack of luxuries can be felt. 6th House of Birth Chart and Sun/Surya Effects:House of enemy and also related to internal organs. This house also represent the maternal side relations so good sun makes a person enemy dominating but increases struggle in life. Malefic Surya increases health issues time to time and obstacles from hidden enemies also faced. 7th House of Horoscope and Sun/Surya Effects in life:Here the presence of this planet creates problems in personal life. Divorce may happen, misunderstanding may disturb the family life. It also affect the health of partner. The good Sun may also helps to gain benefits from higher authorities, It disturb the personal life but this type of person may get growth in career. 8th House of Horoscope and Sun/Surya Effects in life:In this house sun gives anger, lust, temper, impatience etc. If care is not taken then person also suffers from venereal diseases/gupt rog. It is very necessary to not arise any type of misunderstanding in life. The sun here also give long life, this type of person also makes other comfortable at the time of illness. 9th House of Horoscope and Sun/Surya Effects in life:It is the destiny house and here if good Sun/Surya is sitting then person has good fate and is able to live a comfortable life. The sun in ninth house makes the person kind hearted, rich and intelligent. Person makes the family members to proud. The person having powerful Sun in ninth house is very lucky in terms of name, fame, money, status etc.On the other hand due to ill effects of Sun person deprive of above things. 10th House of Horoscope and Sun/Surya Effects: In this house the Surya provide the person benefits from higher authorities, but the person become responsible at very early age. Sometimes father health may affected. But person is ambitious and by his own hard work achieve the target of life. Tenth house sun also makes the person spiritual and a kind hearted. Person can become a good administrator. 11th House of Horoscope and Sun/Surya Effects: The sun present in this house makes the person successful in life and person is able to live a luxurious and smooth life. If the person continuous perform good and social work and avoid sins of any type then sun gives benefit life long. There may be many earning sources of person. 12th House of Horoscope and Sun/Surya Effects in life: Here if malefic or weak sun is present then eye problems arise in life. With this mental tension, hard work, struggle also goes in life. Unwanted expenses creates problem in making good saving. Some may face too much financial problems in life. On the other hand good sun makes way to spend in religious work, socil work which also lead to problems. So it is better to not become too much emotional in life and balance the life. So above I have cleared some of the aspects of Sun and its impacts in all the 12 houses, If you want any type of astrology services related to predictions, reasons of problems, solutions of problems etc then do contact Astrologer now. How to reduce ill effects of sun through astrology?